Abu Muhammad al-Maqdisi, whose real name is Assem Barqawi,Areej Abuqudairi, “Jordan releases anti-ISIL Salafi leader,” Al Jazeera, June 17, 2014, http://www.aljazeera.com/news/middleeast/2014/06/jordan-releases-anti-isil-salafi-leader-2014617121457552506.html. 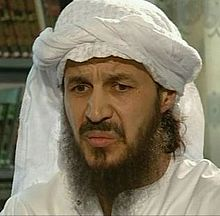 is heralded as one of the most prominent Salafist figures in the world.Joas Wagemakers, “Abu Muhammad al-Maqdisi: A Counter-Terrorism Asset?” CTC Sentinel, Vol 1, Issue 6, May 15, 2008, https://www.ctc.usma.edu/posts/abu-muhammad-al-maqdisi-a-counter-terrorism-asset. Born in the West Bank, his ideological upbringing occurred in Kuwait and Saudi Arabia, where he eventually adopted the prevalent local ideology of Wahhabism.Joas Wagemakers, “Abu Muhammad al-Maqdisi: A Counter-Terrorism Asset?” CTC Sentinel, Vol 1, Issue 6, May 15, 2008, https://www.ctc.usma.edu/posts/abu-muhammad-al-maqdisi-a-counter-terrorism-asset. He completed his secondary education in Kuwait and studied science at the University of Mosul in Northern Iraq. It was during this time that he “found his path,” becoming involved with the Muslim Brotherhood, the Juhayman al-Utaybi group and some sheiks of the Qutbiyeen, Sayyid Qutb’s followers. Nibras Kazimi, “A Virulent Ideology in Mutation: Zarqawi Upstages Maqdisi,” Hudson Institute, September 12, 2005, http://hudson.org/research/9771-a-virulent-ideology-in-mutation-zarqawi-upstages-maqdisi. Al-Maqdisi has a contentious relationship with many of his early protégés. He was a mentor to the al-Qaeda branch in Iraq, from which ISIS was born, but fell out over their methods, including Muslim bloodshed. Associated Press, “Jihadi preacher latest to condemn ISIS’ methods,” CBS News, February 6, 2015, http://www.cbsnews.com/news/jihadi-preacher-abu-mohammed-al-maqdesi-blasts-isis-methods-jordan-pilot-burned/. He was the spiritual guide to Abu Musab al-Zarqawi, whom he later disowned for indiscriminately attacking civilians during the Amman hotel bombings that killed 57 people in 2005. Ian Black, “Jordan releases jihadi cleric and Isis critic after group’s murder of pilot,” Guardian, February 5, 2015, http://www.theguardian.com/world/2015/feb/05/jordan-release-jihadi-cleric-al-maqdisi-isis-killing-pilot-al-kasasbeh. His most contrarian actions of late have been his statements against ISIS. The newest spate of criticism was for ISIS’ immolation of the Jordanian pilot, Moath al-Kasasbeh. Previously, he chastised ISIS for declaring a caliphate in territories under its control, saying that a state ruled under sharia was meant to unite Muslims, but the group was divisive and a “deviant organization.” Thomas Joscelyn, “Influential Jordanian ideologue argues against Islamic State’s caliphate,” Long War Journal, July 2, 2014, http://www.longwarjournal.org/archives/2014/07/_moral_pressures_had.php. All of the more moderate positions he [al-Maqdisi] has taken in the past 10 years are completely compatible with his earlier writings and in many cases simply confirm what he has written before. This means he still believes the leaders of the Muslim world are infidels and considers jihad against them (and the West) to be legitimate. Joas Wagemakers, “Abu Muhammad al-Maqdisi: A Counter-Terrorism Asset?” CTC Sentinel, Vol 1, Issue 6, May 15, 2008, https://www.ctc.usma.edu/posts/abu-muhammad-al-maqdisi-a-counter-terrorism-asset. Al-Maqdisi has been in and out of prison for nearly two decades and, like other jihadist emirs such as Abu Bakar Ba’asyir, has continually denied involvement or complicity in violent terror attacks. When arrested, he is typically charged with some variation of espousing extremist ideologies and supporting acts of terror. He manages to be released for myriad reasons. In 2008, he was released on lack of evidence and health concerns. In June 2014, it was suggested that authorities released him to encourage him to speak against ISIS, as they feared that the extremist group’s contagion would spill over into their borders. Suleiman Al-Khalidi, “Jordan arrests influential al Qaeda scholar for ‘incitement’,” Reuters, October 27, 2014, http://uk.reuters.com/article/2014/10/27/uk-jordan-islamist-idUKKBN0IG1VI20141027. Most recently, there was speculation that he was released in October 2014, days after the killing of a Jordanian pilot by ISIS, so that he would make stronger proclamations against ISIS. Associated Press, “Muslim clerics denounce ‘savage’ Isis murder of Jordanian pilot,” The Guardian, February 6, 2015, http://www.theguardian.com/world/2015/feb/06/muslim-clerics-denounce-jordanian-pilot-execution-kasasbeh. Every time he is released, many of his mujahidin apostles come to pay him homage, highlighting the power and influence that he still wields. Tamer al-Samadi, “Jordan Salafist leader, freed, quiet so far on ISIS-Nusra rift,” Al Monitor, June 20, 2014, http://www.al-monitor.com/pulse/security/2014/06/jordan-salafist-maqdisi-released-prison-silence-isis-nusra.html. Al-Maqdisi’s followers are waging jihad in Syria and Iraq. Jordan’s Salafist jihadist movement encourages fighters to join the battle against President Bashar al-Assad’s forces. The movement’s leadership says they have sent more than 2,000 fighters who are currently with either the Nusra Front or ISIS. Tamer al-Samadi, “Jordan Salafist leader, freed, quiet so far on ISIS-Nusra rift,” Al Monitor, June 20, 2014, http://www.al-monitor.com/pulse/security/2014/06/jordan-salafist-maqdisi-released-prison-silence-isis-nusra.html. His reach is not simply confined to Jordan. For example, two of al-Maqdisi’s followers, Marouane B. and Robbin Van D., were young men from Arnhem, Netherlands. They both became active Muslims, reading al-Maqdisi’s works on Salafist-oriented sites, and eventually went on to fight in Syria. Øyvind Strømmen, “Syrian jihad, from Antwerp,” Hate Speech International, March 20, 2014, https://www.hate-speech.org/syrian-jihad-from-antwerp/. Some of al-Maqdisi’s major works include Millet Ibrahim, in which he establishes the importance of al wala’ wa’l-bara’ (loyalty and renunciation) and Idad al-qadeh al-fawaris bi hajr fesad al-madaris (Preparing Courageous Leaders by Leaving the Corruption of Schools), wherein he argues that state schools corrupt youth and are un-Islamic and advocates for home schooling. Nibras Kazimi, “A Virulent Ideology in Mutation: Zarqawi Upstages Maqdisi,” Hudson Institute, September 12, 2005, http://hudson.org/research/9771-a-virulent-ideology-in-mutation-zarqawi-upstages-maqdisi. He later wrote Al-kawashif al-jaliyyeh fi kufr al-aawleh al-saudiyyeh (The Illuminating Evidence of the Kufr of the Saudi State), criticizing the Saudis as non-believers. One of al-Maqdisi’s most polemic works is Al-Demoqratiyya Deen (Democracy is a Religion), arguing that democracy is akin to a religion and thus seeking it would be a conversion from Islam to another religion; in other words, apostasy. Nibras Kazimi, “A Virulent Ideology in Mutation: Zarqawi Upstages Maqdisi,” Hudson Institute, September 12, 2005, http://hudson.org/research/9771-a-virulent-ideology-in-mutation-zarqawi-upstages-maqdisi. This emphasizes that al-Maqdisi and his followers are vehemently opposed to democracy whether labeled “Islamic” or not. Abu Mohammed al-Maqdesi Associated Press, “Jihadi preacher latest to condemn ISIS’ methods,” CBS News, February 6, 2015, http://www.cbsnews.com/news/jihadi-preacher-abu-mohammed-al-maqdesi-blasts-isis-methods-jordan-pilot-burned/. Assem Barqawi Areej Abuqudairi, “Jordan releases anti-ISIL Salafi leader,” Al Jazeera, June 17, 2014, http://www.aljazeera.com/news/middleeast/2014/06/jordan-releases-anti-isil-salafi-leader-2014617121457552506.html. Isam Mohammed Taher al-Barqawi Associated Press, “Isam Mohammed Taher al-Barqawi, Al Qaeda Chief’s Mentor, Jailed in Jordan,” Huffington Post, July 28, 2011, http://www.huffingtonpost.com/2011/07/28/isam-mohammed-taher-al-barqawi-al-qaeda-mentor-jailed-jordan_n_911879.html. Abu Muhammad al-Maqdisi, whose real name is Assem Barqawi, is heralded as one of the most prominent Salafist figures in the world. “Putting us in jail will not dissuade us from supporting the mujahedeen [in Afghanistan]. We will continue to support them, even if you sentence us to death. We will continue to be fighters until the day we die.” (Screamed in a courtroom during trial) Associated Press, “Isam Mohammed Taher al-Barqawi, Al Qaeda Chief’s Mentor, Jailed in Jordan,” Huffington Post, July 28, 2011, http://www.huffingtonpost.com/2011/07/28/isam-mohammed-taher-al-barqawi-al-qaeda-mentor-jailed-jordan-_n_911879.html. “My project is to bring back to the Islamic Nation its glories and to establish the Islamic state that provides refuge to every Muslim, and this is a grand and large project that does not come by small vengeful acts. It requires the education of a Muslim generation, it requires longterm planning, it requires the participation of all the learned men and songs of this Islamic nation.” Nibras Kazimi, “A Virulent Ideology in Mutation: Zarqawi Upstages Maqdisi,” Hudson Institute, September 12, 2005, http://hudson.org/research/9771-a-virulent-ideology-in-mutation-zarqawi-upstages-maqdisi.